The 5th Féile Cheoil Larry Reynolds weekend takes place in Ballinasloe from Friday 7th to Sunday 9th September 2018. A weekend which was established to commemorate the life of Larry Reynolds but also to promote the East Galway Style of Music and to encourage and develop Irish Music, Heritage and Culture in the region. It promises to be a weekend of “Cheoil, Craic, Cultúr agus Spraoi”. 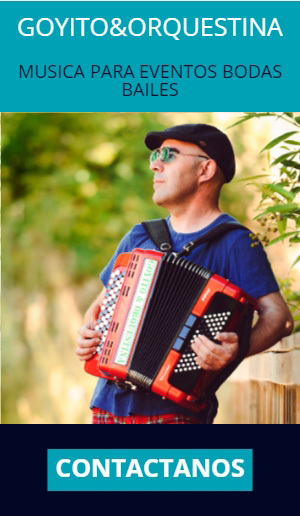 Highlights of the weekend include a Concert in The Pillar House Gibbons featuring Singer Orlaith Keane accompanied by Colm Naughton on banjo-mandolin and Catherine Mc Hugh on Piano, it promises to be a superb evening of Irish Songs and Music. Tickets are €15. There will Music, Traditional Singing & Sean Nós Dance workshops at various venues in the town with some of the finest tutors in the business, a Photo Exhibition of “Larry Reynolds & and other Muscians from East Galway”, Craft Exhibitions on the street, an Irish Music Pub Trail, an Historical Walking Tour of Ballinasloe, A Lecture on The East Galway Style of Music in Ballinasloe Town Library presented by Vera Craughwell, a Céilí in Gullanes ’s Hotel with the UI Bhriann Céilí Band all the way from Kerry, a Junior Session in The Dunlo Tavern, as well as many other trad seisiún during the weekend. 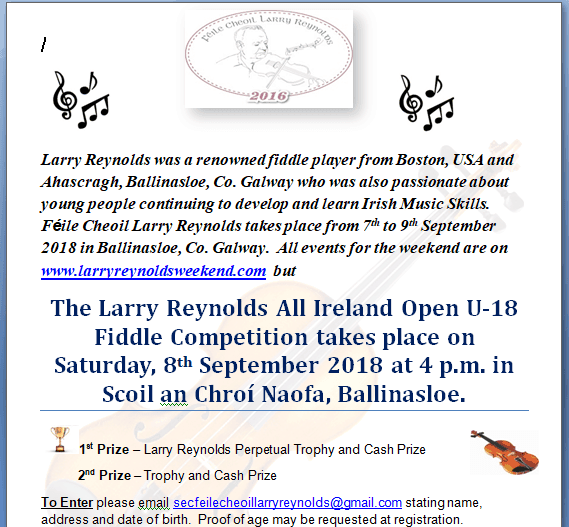 For the Third Year Féile Cheoil Larry Reynolds will host an Open All-Ireland Fiddle Competition which has a prize fund of €250 with the Larry Reynolds Perpetual Trophy for 1st Place and a Trophy for 2nd Place. Ballinasloe looks forward to welcoming you, the town will be alive with Irish Music, Heritage & Culture, don’t miss it!